High school football is back! Fayette’s cheerleaders lead the Tigers onto the field at Gordo. 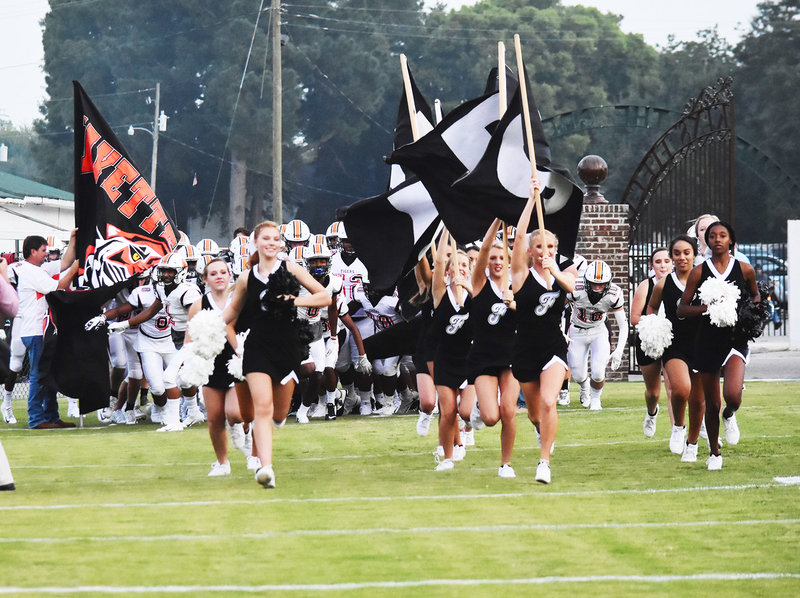 The 2018 high school football season kicked off last week and the county teams appeared to be ready for action. Fayette County High School scored with 4.7 seconds remaining in the game to take a hard-earned 19-13 victory over Gordo, and Berry played Sulligent extremely close before losing a heartbreaker by the score of 30-22. Hubbertville also had a very impressive jamboree win against Phil Campbell. See additional pictures and details of these games in this week’s paper.